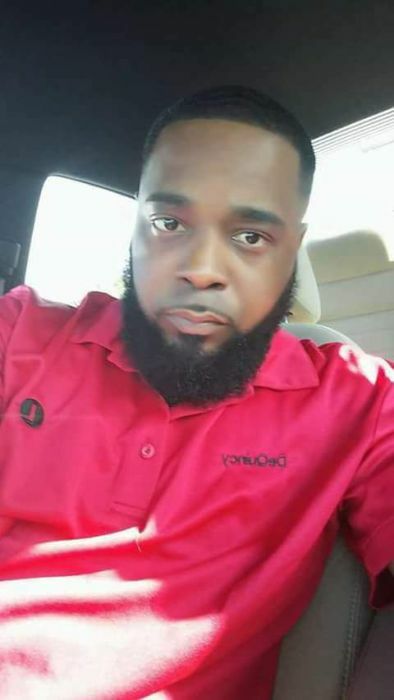 Dequincy Raynard Neal, 32, of 316 Grey Road, husband of Raisha Cohen, died on Sunday, December 3, 2017 in Greer. Born in Greenwood, he was the son of Otelia L. Neal and Roosevelt Rapley. He was employed with Lear as a shift leader. He leaves to cherish his memories, his wife; one son, Christian Neal; four daughters, Cederia Bailey, Jada Neal, Patience Hill and Aniya Neal, all of Greenwood; six brothers, Tyareik Miller, Pherio Strong, Qureockis Verner, all of Greenwood, Anthony Verner of Washington, DC, Roosevelt Rapley, III and Rodney Rapley, both of Ohio; six sisters, Tequila Jones, Tanisha Neal and Dabryanna Dean, all of Greenwood, Lakiva Verner of Bamburg, Rashal Rapley and Ravion Rapley, both of Ohio; grandmother, Bessie Neal Gilchrist of Greenwood and a host of other relatives and friends to mourn his passing. Funeral services will be held 2:00 pm on Sunday, December 10, 2017 at Bailey Bethel AME Church, conducted by Rev. Willie Black. The body will be placed in the church at 1:00 pm. Burial will follow in the church cemetery.